Packed with 30 distinct weapons, a weapon shop, and a target practice mode, the shareware version of Pocket Tanks is already fun on its own. However, sooner or later, the player will be able to master each of the items in his arsenal and will crave for a much-needed upgrade. This is where Pocket Tanks Deluxe comes in. Unlike other free-to-play titles on the market that requires payment for each individual upgrade, Pocket Tank Deluxe is an all-in-one package that contains a whopping 290 types of weapons priced at $19.99. Pocket Tanks Deluxe includes a diverse selection of items like Jump Sets (designed specifically for tank mobility), the Digger, which as the name suggests is a tunneling contraption, and a reflective terrain creator called Bouncy Dirt, among others. Most importantly, Pocket Tanks Deluxe Pack features a continuous support for future weapon packs. This means that investing in Pocket Tanks Deluxe will enable you to have free access to the upcoming weapon expansion packs for the game. Given the 15-year record of the game’s publisher, the continuous support is not far-fetched. But if you’re not yet ready to purchase the Deluxe version, you can also try out the free weapon packs featured in the official Blitwise site. Pocket Tanks Deluxe and all the weapons that go with it has remained exclusive ever since its launch, this means that there’s no other method to acquire the weapons without paying for the Deluxe version. To sum up everything, Pocket Tanks Deluxe is the ultimate package available right now. It’s like getting a lifetime supply of each available and future flavors of your favorite ice cream, which from the looks of it is a pretty good deal. 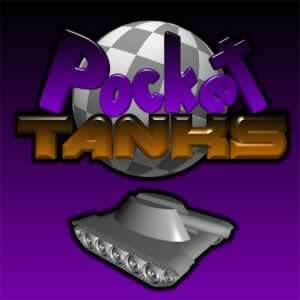 Learn more about Pocket Tanks in the game’s FAQ page.